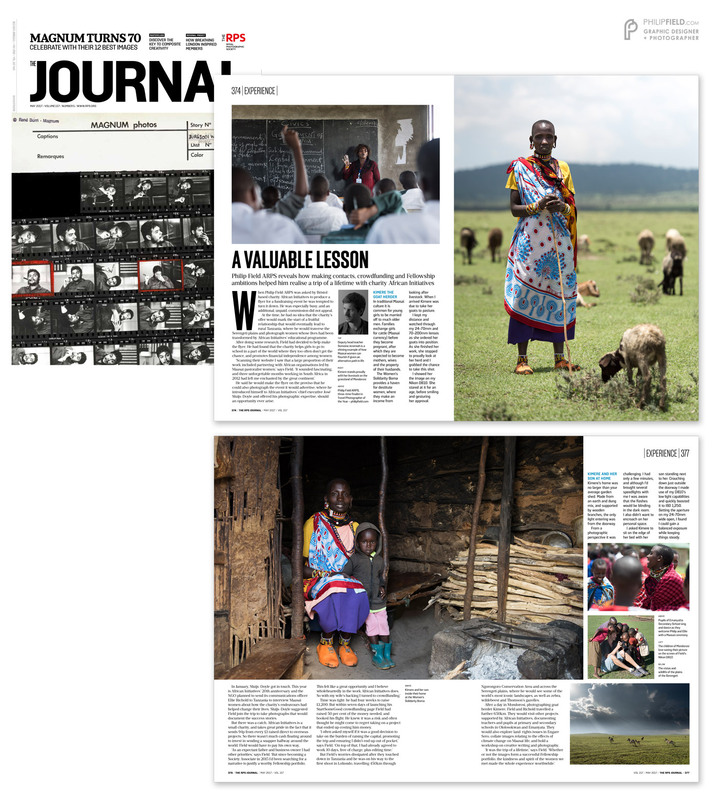 Prior to my Tanzania trip in March 2017 with African Initiatives (see previous article here for more), I emailed Andrew Cattanach, Editor of The Journal magazine for The Royal Photographic Society (RPS), to discuss a possible feature in their magazine. That same day, Andrew phoned me back and after a 10-15 minute discussion, he agreed to set aside 4 pages in the May 2017 issue. The proposed article would cover the my motivation and background story, followed by a diary of my experiences in Tanzania interspersed with images and captions telling the story of one to two Maasai women. Yesterday, a copy of The Journal dropped through my letterbox with my article in print. It’s always a great moment to see your work published, but this trip in particular is one I’m particularly proud to have joined, especially as the majority of the money was raised through crowd funding and the generous support of my friends and family. Below is a press cutting of the article. Should you not be able to read the text, I’ve added the full wording underneath along with larger images and captions. 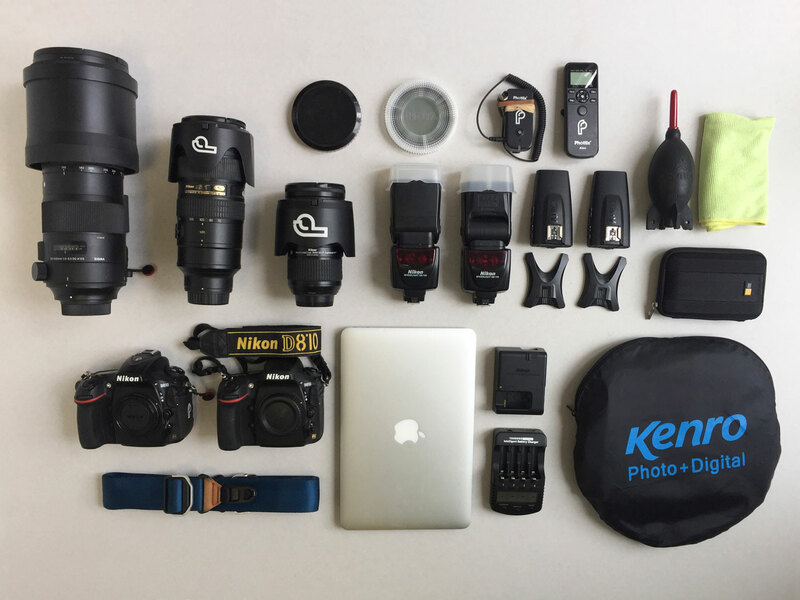 For any photographers out there, a photo of my kit bag can be found at the very bottom of this post. When Philip Field ARPS was asked by Bristol based charity African Initiatives to produce a flyer for a fundraising event he was tempted to turn it down. He was especially busy, and an additional, unpaid, commission did not appeal. At the time, he had no idea that the charity’s offer would mark the start of a fruitful relationship that would eventually lead to rural Tanzania, where he would traverse the Serengeti plains and photograph women whose lives had been transformed by African Initiatives’ educational programme. He said he would make the flyer on the proviso that he could also photograph the event it would advertise, where he introduced himself to African Initiatives’ chief executive José Sluijs-Doyle and offered his photographic expertise, should an opportunity ever arise. In January, Sluijs-Doyle got in touch. 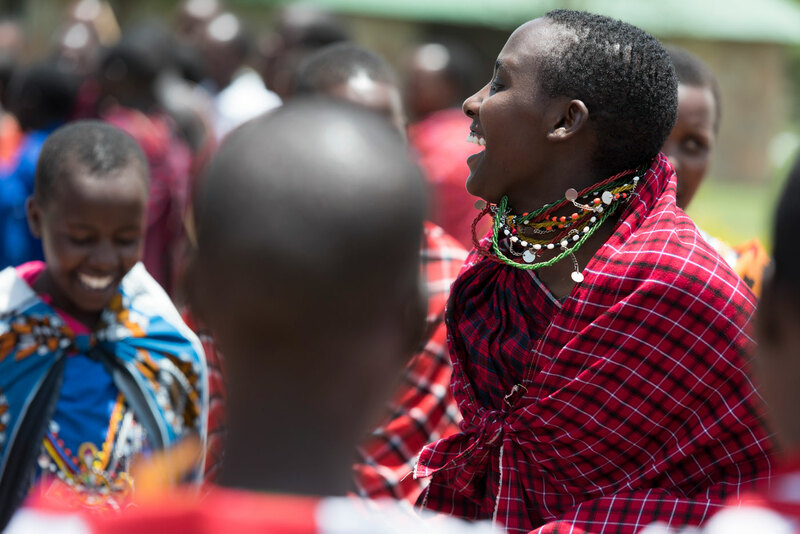 This year is African Initiatives’ 20th anniversary and the NGO planned to send its communications officer Ellie Richold to Tanzania to interview Maasai women about how the charity’s endeavours had helped change their lives. Sluijs-Doyle suggested Field join the trip to take photographs that would document the success stories. But there was a catch. African Initiatives is a small charity, and takes great pride in the fact that it sends 94p from every £1 raised direct to overseas projects. So there wasn’t much cash floating around to invest in sending a snapper halfway around the world. Field would have to pay his own way. Time was tight: he had four weeks to raise £1,200. But within seven days of launching his StartSomeGood crowdfunding page Field had raised 50 per cent of the money needed, and booked his flight. He knew it was a risk and often thought he might come to regret taking on a project that ended up costing him money. 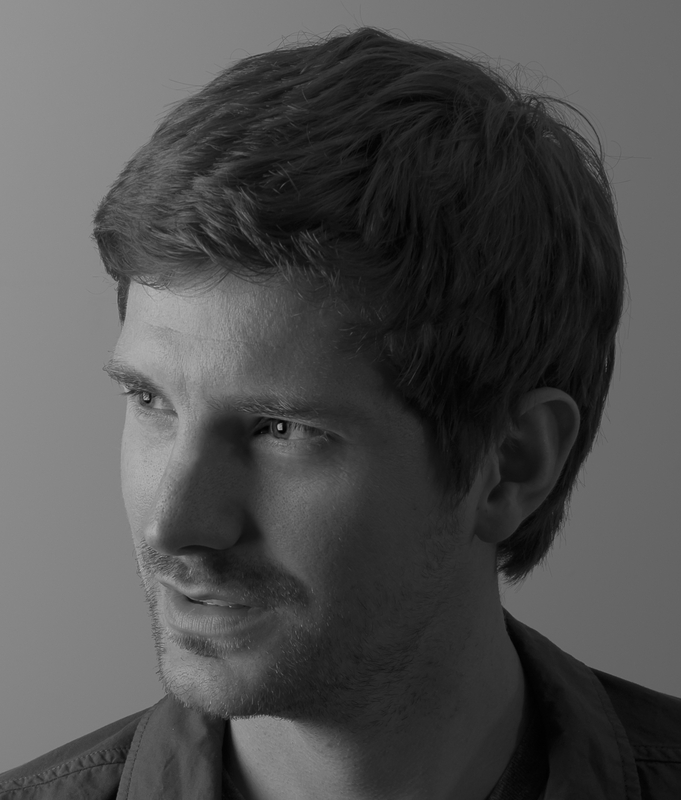 But Field’s worries dissipated after they touched down in Tanzania and he was on his way to the first shoot in Loliondo, travelling 450km through Ngorongoro Conservation Area and across the Serengeti plains, where he would see some of the world’s most iconic landscapes, as well as zebra, wildebeest and Thomson’s gazelles. After a day in Mondorosi, photographing goat herder Kimere, Field and Richold travelled a further 650km. They would visit other projects supported by African Initiatives, documenting teachers and pupils at primary and secondary schools in Ololosokwan and Emanyata. They would also explore land-rights issues in Engare Sero, collate images relating to the effects of climate change on Maasai life, and hold a workshop on creative writing and photography. Kimere’s home was no larger than your average garden shed. Made from an earth and dung mix, and supported by wooden branches, the only light entering was from the doorway. From a photographic perspective it was challenging. I had only a few minutes, and although I’d brought several speedlights with me I was aware that the flashes would be blinding in the dark room. I also didn’t want to encroach on her personal space. I asked Kimere to sit on the edge of her bed with her son standing next to her. Crouching down just outside the doorway I made use of my D810’s low light capabilities and quickly boosted it to ISO 1,250. Setting the aperture on my 24 70mm wide open, I found I could gain a balanced exposure while keeping things steady. In traditional Maasai culture it is common for young girls to be married off to much older men. 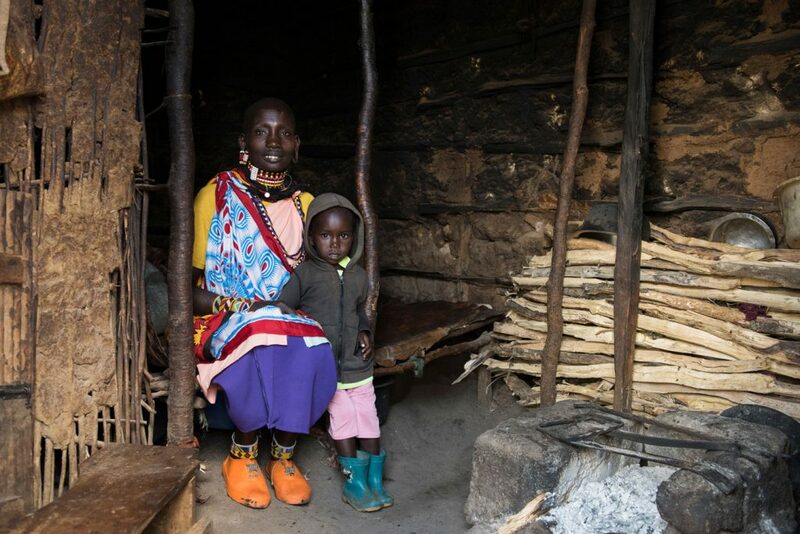 Families exchange girls for cattle (Maasai currency) before they become pregnant, after which they are expected to become mothers, wives and the property of their husbands. 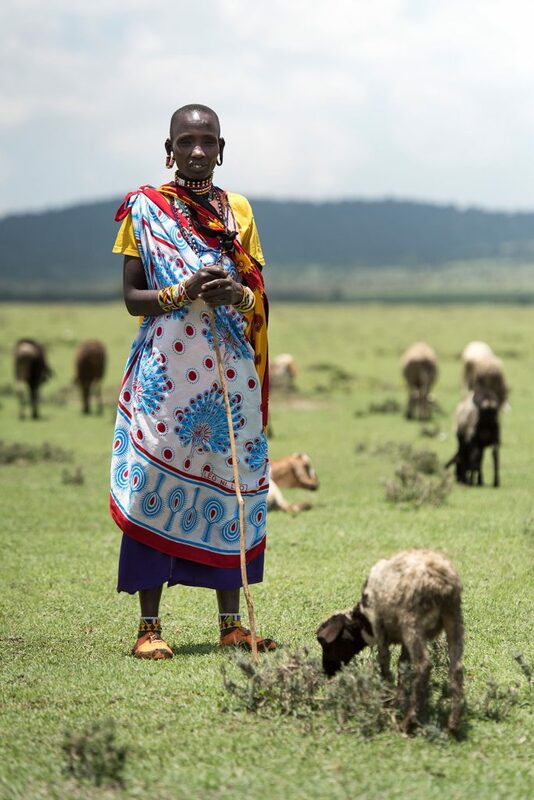 The Women’s Solidarity Boma provides a haven for destitute women, where they make an income from looking after livestock. When I arrived Kimere was due to take her goats to pasture. I kept my distance and watched through my 24-70mm and 70-200mm lenses as she ordered her goats into position. As she finished her work, she stopped to proudly look at her herd and I grabbed the chance to take this shot. I showed her the image on my Nikon D810. She stared at it for an age, before smiling and gesturing her approval. 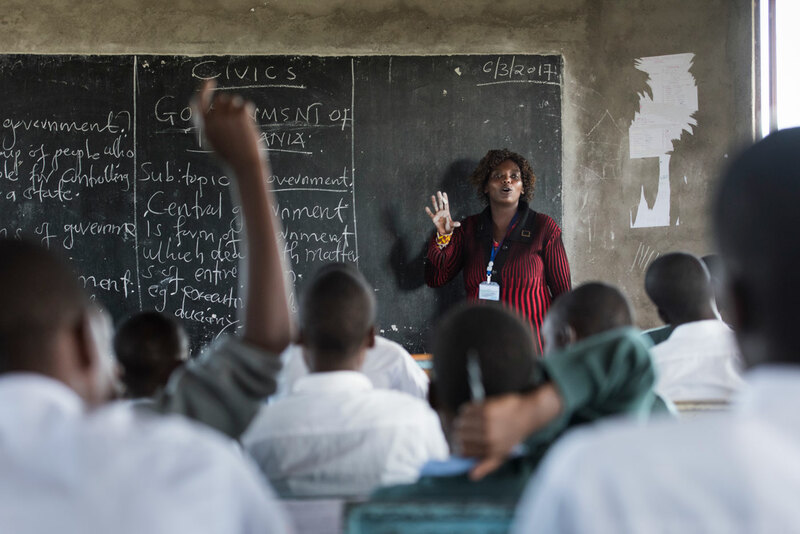 Deputy head teacher Somoine Jeremiah is a shining example of how Maasai women can flourish if given an alternative path in life. Pupils of Emanyatta Secondary School sing and dance as they welcome Philip and Ellie with a Maasai ceremony. 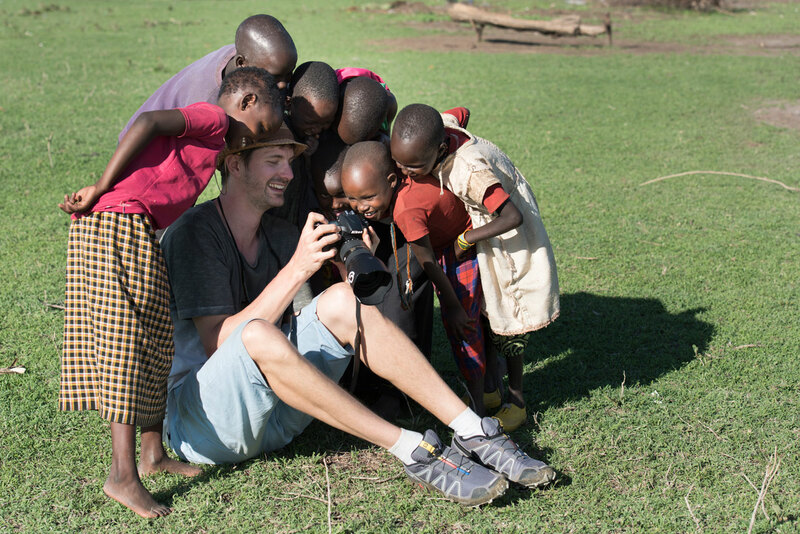 The children of Mondorosi love seeing their picture on the screen of Field’s Nikon D810. 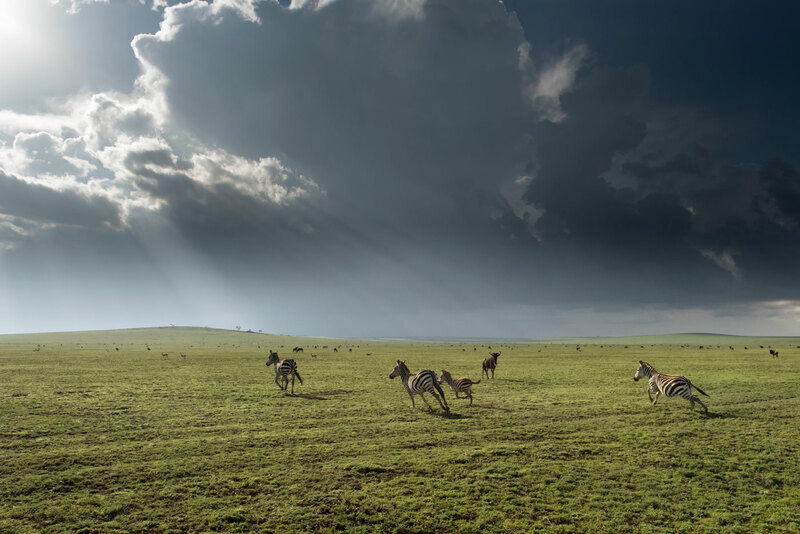 The vistas and wildlife of the plains of the Serengeti.